Blurb Description: Alosa's mission is finally complete. Not only has she recovered all three pieces of the map to a legendary hidden treasure, but the pirates who originally took her captive are now prisoners on her ship. Still unfairly attractive and unexpectedly loyal, first mate Riden is a constant distraction, but now he's under her orders. And she takes great comfort in knowing that the villainous Vordan will soon be facing her father's justice. 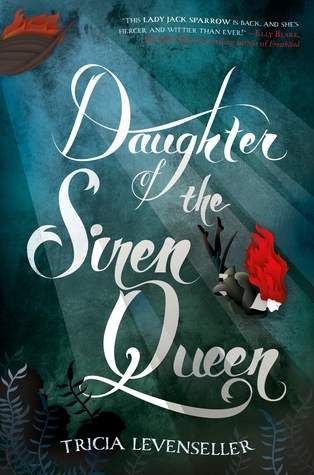 The minute I saw an ARC of Daughter of the Siren Queen in a parcel from Macmillan International, I SCREAMED. I read Daughter of the Pirate King, the prequel and Tricia Levenseller’s debut a few months ago and ever since then, I’d been ITCHING to get my hands on this book. Despite the fact that I had so many pending ARCs and finished copies to review, I couldn’t help the itch to reach out and read this BEAUTIFUL book and within a week or two of receiving it, I caved. 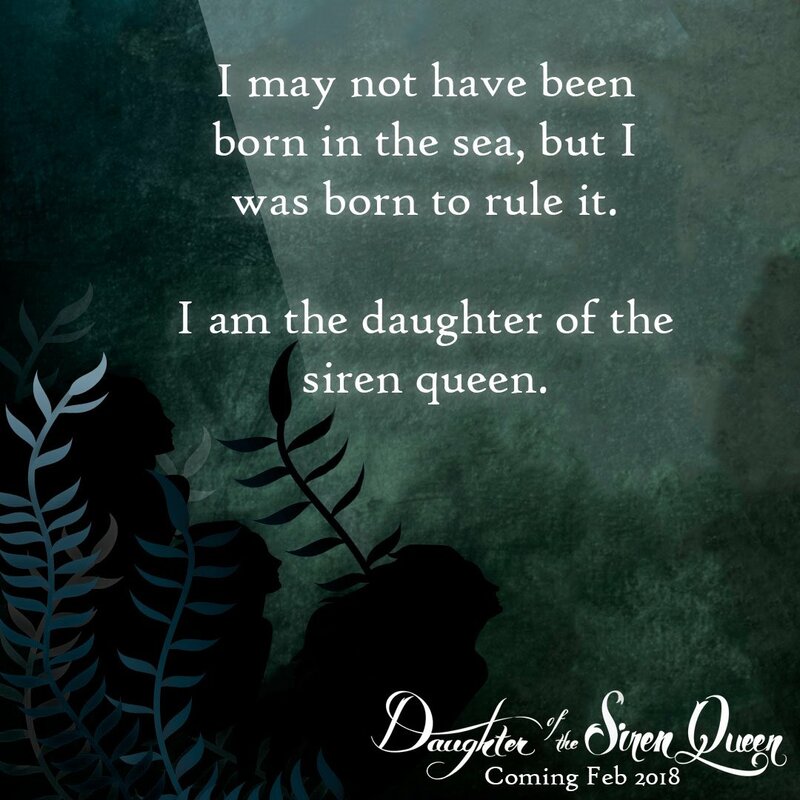 Daughter of the Siren Queen was a BRILLIANT book filled with pirates, love, family, betrayals, battles, twists, mythical creatures, chemistry and FEMINISM. It was the perfect combination of everything good in the fantasy world and I loved every second of being immersed in this book. In fact, I NEED MORE BOOKS WITH ALOSA AND RIDEN AND THE AVA-LEE AND EVERYONE ONE IT because HOLY CRAP THEY ARE ALL SUCH AMAZING CHARACTERS AND DESERVE MORE STORIES. 1. 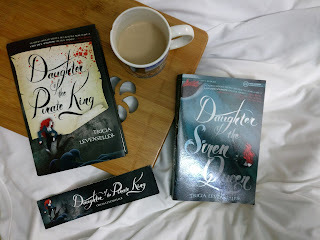 While the prequel, Daughter of the Pirate King, took me by surprise with how good it was, I pretty much EXPECTED it from Daughter of the Siren Queen. I expected it to be great, and this book lived up to my expectations. 2. Like the first book, this story is mostly told on sea, aboard a pirate ship but this one is different because Alosa is no longer a prisoner and is back on her own ship. Most of her crew is made up of badass female pirates and I loved getting to know them especially Mandsy, Nirida and Sorinda. 3. THE ALOSA AND RIDEN SCENES IN THIS BOOK ARE LIFE. I absolutely loved how he tried to understand her as a half siren, and how she tried to deal with what she felt for him and why he kept her human. Their character development in this book was stunning, just like all their illicit kisses and arguments. 4. Apart from her journey with Riden, Alosa made HUGE strides as both a Siren and a daughter in this book and how Tricia Levenseller made it all come to life was brilliant. I loved the way her mind worked, her Slytherin attitude, her fearlessness and her loyalty. I will truly miss reading from her perspective. 5. While this book was GREAT, it somehow just missed the magic that made Daughter of the Pirate King one of my favourite 2017 reads. I don’t know if it was the fact that there were so many new characters, or the fact that I was expecting it to be brilliant, but this book ranks second to its prequel. 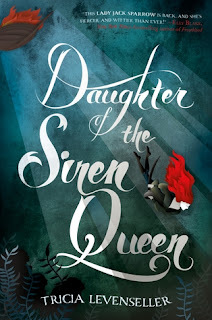 Daughter of the Siren Queen filled with feminism, sirens, magic, pirates, friendship, treasure and chemistry filled banter and IT’S EVERYTHING YOU NEVER KNEW YOU NEEDED IN YOUR LIVES. 4.5 Stars. Have you had a chance to dive into this series?! WHAT DO YOU THINK OF IT? What are some of your favourite YA Feminist Fantasy Novels? PLEASE DO GIVE ME RECOMMENDATIONS BELOW!